Lytham, was a fishing village and appeared in the Domesday Book 1086. But, in the C17th coastal retreats became popular as people the looked for the healthy properties of sea water. The town began to grow and popularity was bound to increase with the coming of the railways. Today the town has architectural features which draw visitors who are interested in coastal heritage. 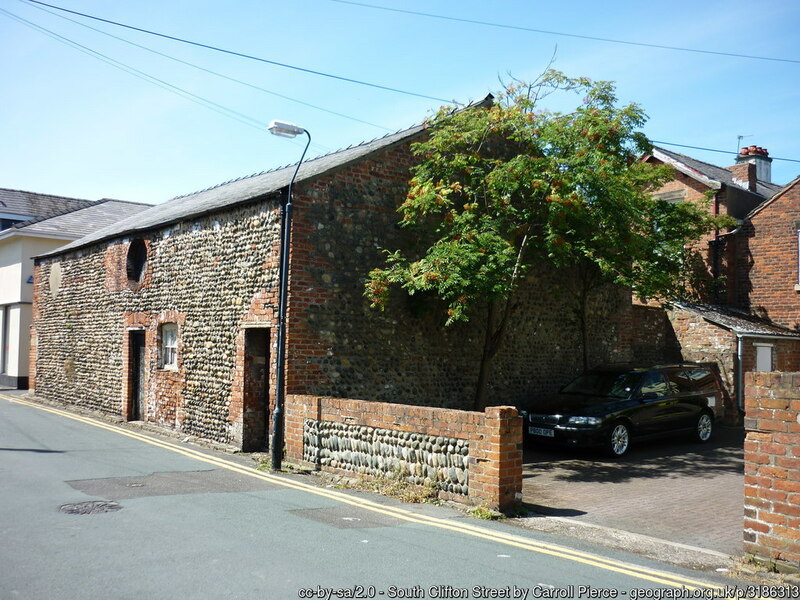 The cobbled building above is a former stable at the rear of the former Talbot Hotel on Clifton Street. 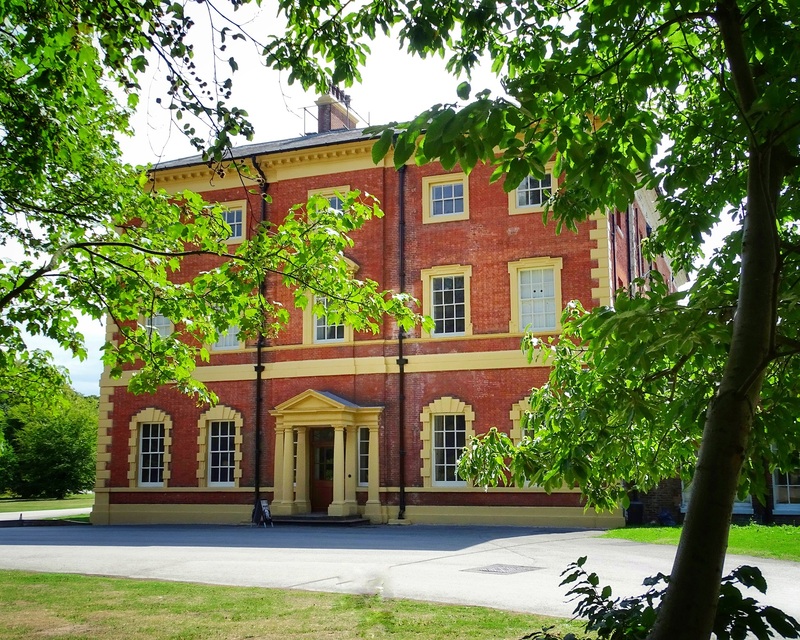 This listed building is a rare local example of cobbled walls which were once common here. 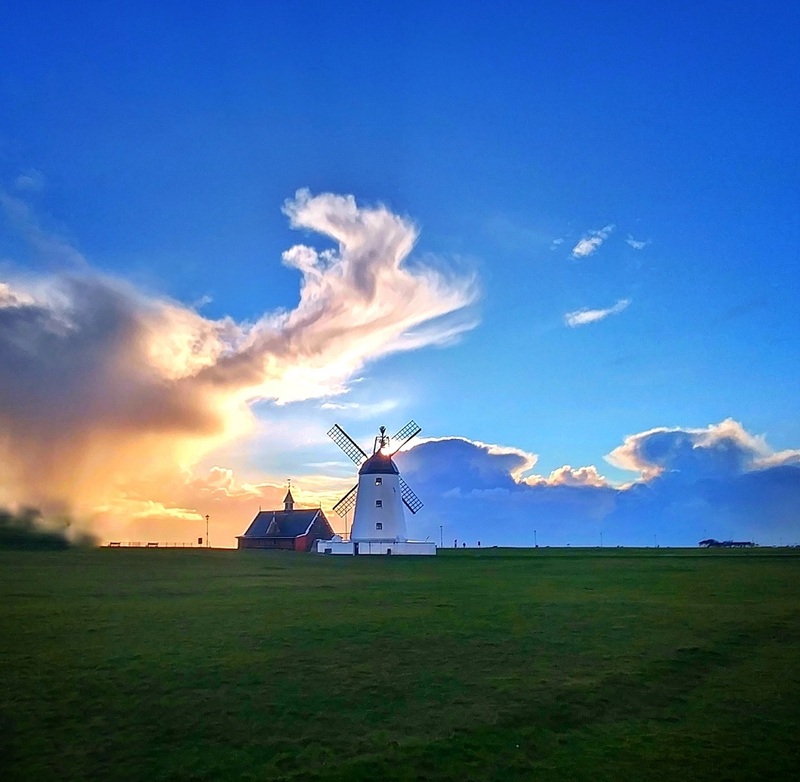 The present Windmill building dates from 1989 when Fylde Borough Council restored an earlier building which burnt down in 1919. The fire took hold during a storm. The windmill’s sails were still and the brake was on. However, the strong winds turned the sails and the resulting friction made sparks which set the windmill on fire. The fire destroyed the building, now restored, it is a popular museum. Visitors can see a piece of transport history in the Tram shelter at Ansdell. 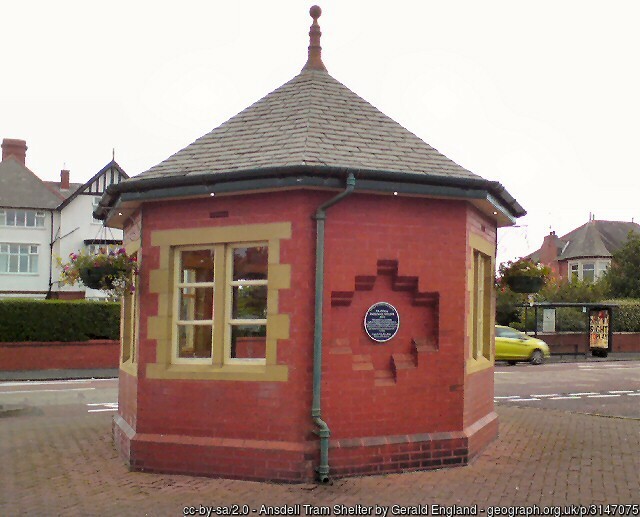 Lytham St Annes Corporation built the tramway passenger shelter in 1923 to serve passengers traveling to Blackpool. The original trams on this route ran on gas but changed to electricity in 1903. 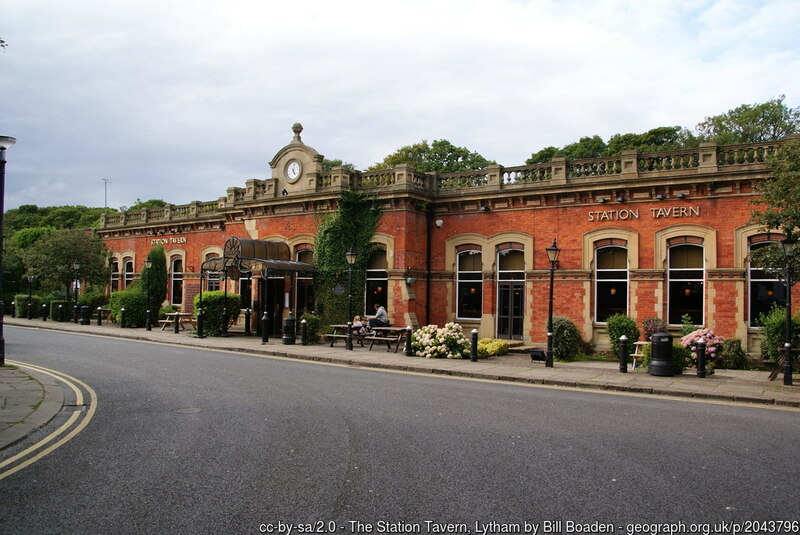 The Station Tavern, dating from 1874, occupies the station building on the Lytham to Kirkham branch of the Preston and Wire Railway. The line is disused, but the station is now a pub. December 9 1886 saw the worst disaster in the history of the RNLI. In the church yard of St Annes Parish Church, on St Annes Road, is the Laura Janet memorial. This Grade II Listed memorial commemorates the loss of 5 of the lifeboat men who died attempting that rescue. Three life boats launched from Lytham, St Annes and Southport to aid the German vessel, The Mexico. The local life boat, the Charles Biggs, rescued the stricken crew and returned safely. However, the Laura Janet from St Annes and the Eliza Fernley from Southport did not return. In the church yard of St Annes church is the memorial to five of the local men who crewed the Laura Janet. It reads: “MEMBERS OF THE ST ANNES LIFEBOAT CREW WHO PERISHED IN THE ATTEMPT TO RESCUE THE CREW OF THE MEXICO THE NIGHT OF DECEMBER 9TH 1886” WB Rhind, of Edinburgh, carved the red sandstone memorial in the style of a Celtic cross. There are more memorials to the other brave life boat crew who died trying to save others. The Grade II Listed war memorial stands in Ashton Gardens. 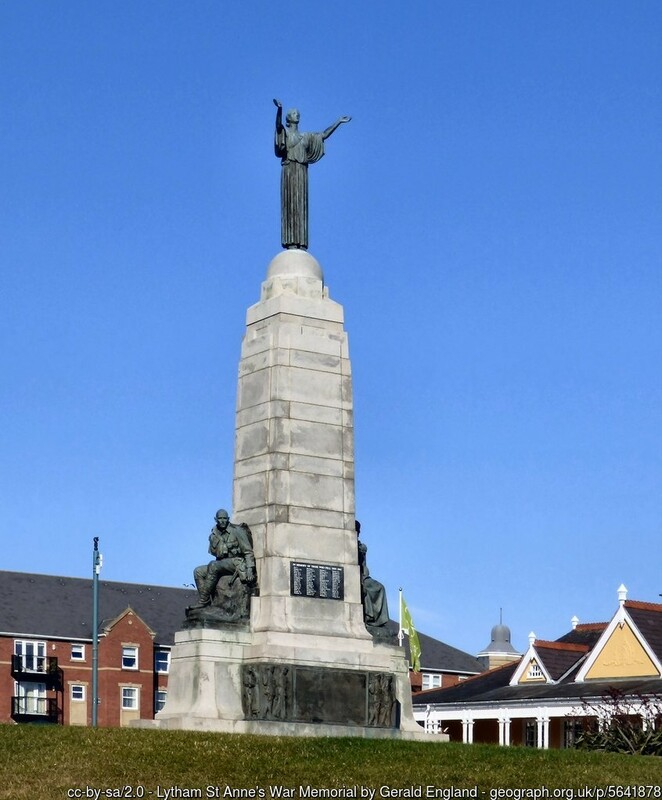 It is notable because of the bronze plaques showing a range of war time scenes. One shows soldiers carrying a dead comrade’s body, and another shows a womam left behind. These realistic scenes are unusual in war memorials. In the sensory garden, by St Anne’s Pier is the statue to celebrity and comedian, Les Dawson.